One of the good things about scuba diving sites in Turkey is that the water is clear and warm. There is also a variety of sea life to be seen when Scuba diving at sites in Turkey including Barracuda, Sea bream and Octopus. However, the level of sea life at scuba diving sites is typical of other Mediterranean scuba diving sites such as Spain and not as much sea life can be seen as in scuba diving sites in the Red Sea or Caribbean. Antalya offers a particularly good wreck scuba diving opportunity as this is where a Second World War hospital ship sank. 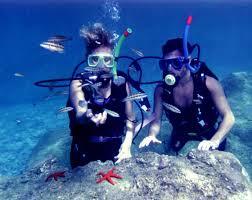 The cost of a day of scuba diving at most sites in Turkey is about 30 Euros which should include two dives and lunch. Fethiye offers a great wall scuba diving experience at Afkule which is one of the best wall diving sites in the Mediterranean. 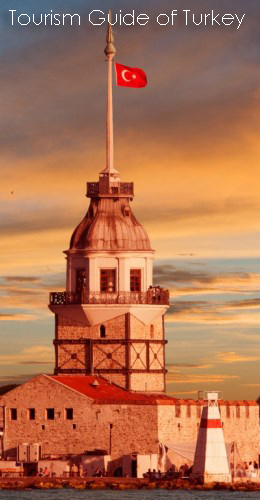 One Response to "Marine life and scuba diving in Turkey"
A piece of erduiiotn unlike any other!